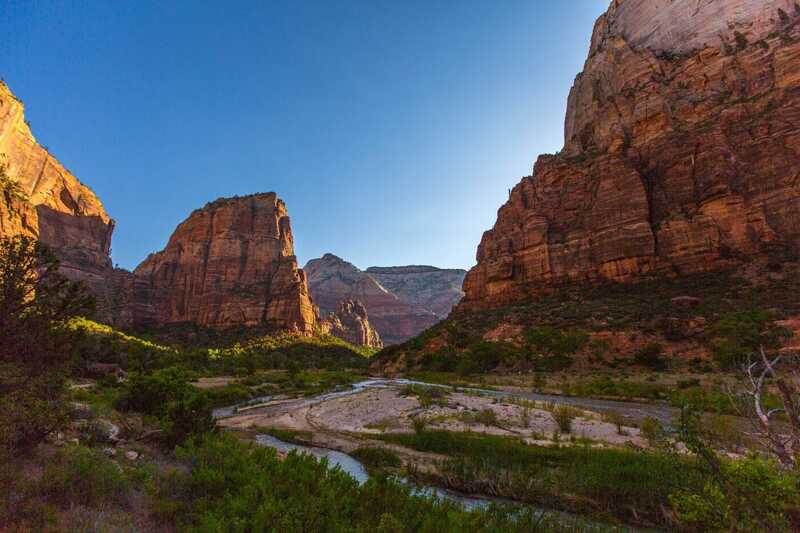 Every year thousands of people travel to Zion National Park, Utah. 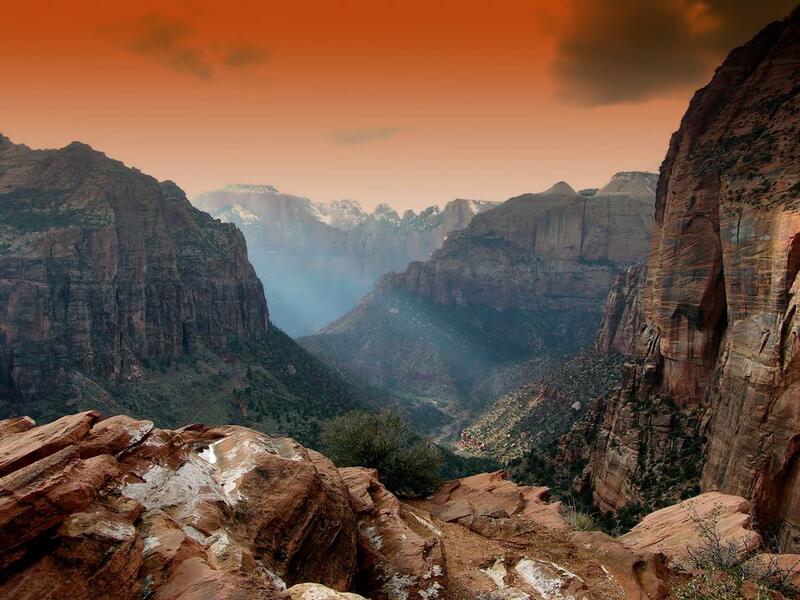 Almost every visitor comes with the plan to do two hikes – The Narrows and Angels Landing. 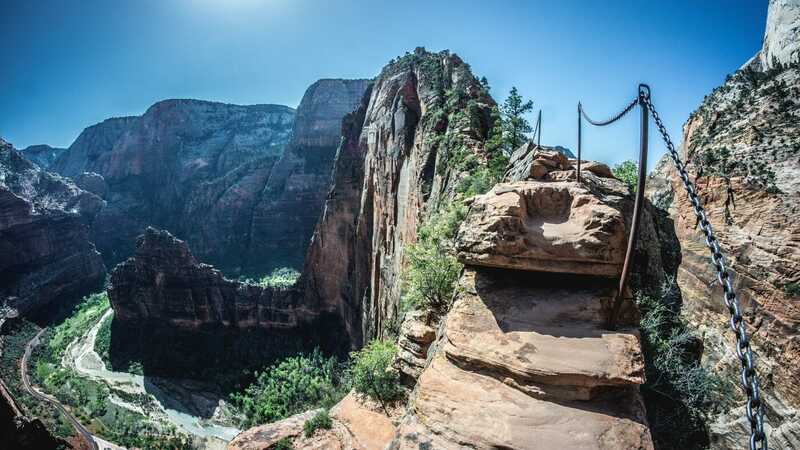 Angels Landing stands 1,488 feet over the canyon floor. 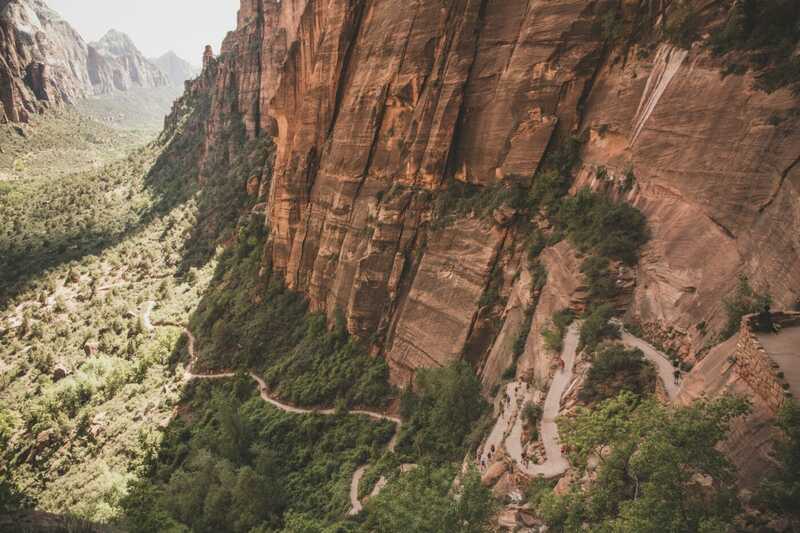 The winding trail leads a hiker out of the Zion Canyon and up the canyon rim to the famed Angels Landing. Hiking Angels Landing is a challenging but rewarding hike. Angels Landing Trail starts at the Grotto Trailhead. Grotto Trailhead is located at Shuttle Stop 6 along the Zion Canyon Scenic Drive. 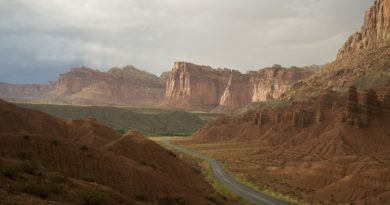 Usually, from May to Mid-November, access to Zion Canyon Scenic Drive is limited to the Zion Canyon Shuttle. 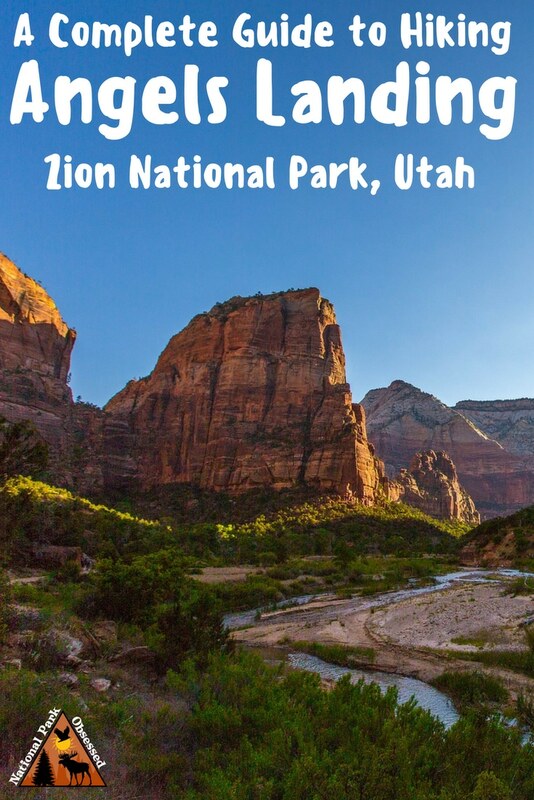 The Zion Canyon Shuttle can be caught from Visitor Center or Campground. 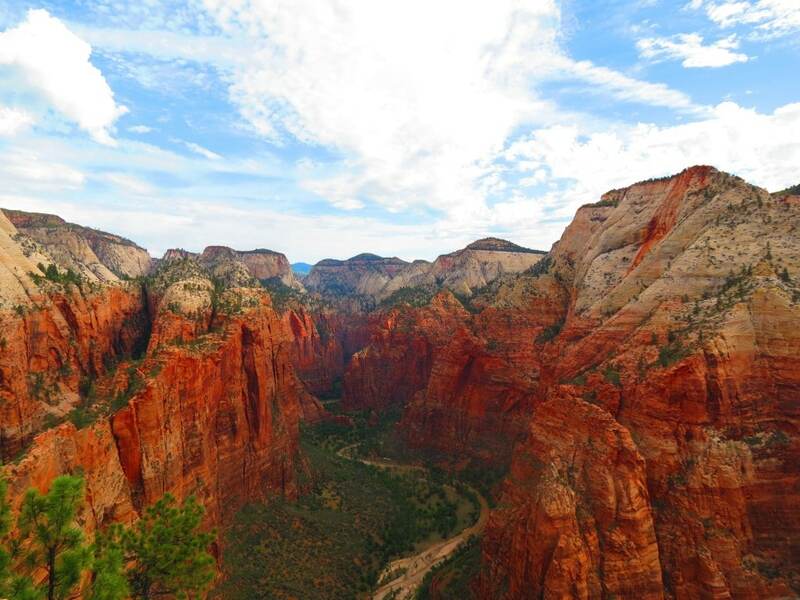 Angels Landing Trail is open year around. The best hiking is in the Spring and Fall. There is no shade of the trail so a summer hike can be really hot. If planning on hiking Angels Landing in winter, come prepared and if the trail is icy don’t hike any further than Scouts Landing. 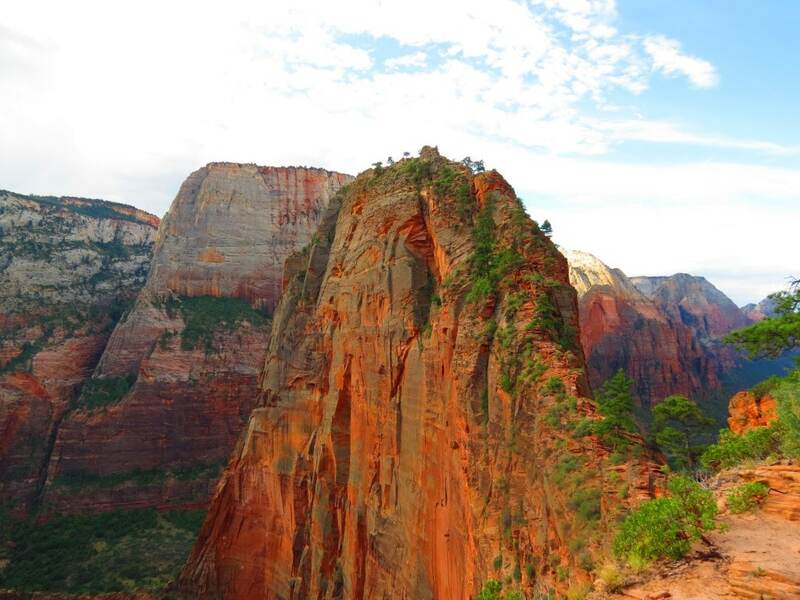 The Angels Landing hike is a perfect addition to a Utah National Park Road Trip. Angels Landing is best hiked in the early morning or late afternoon. It is highly recommended to catch the first Zion Canyon Shuttle into the canyon. This trail is a hugely popular hike as hundreds of people hike this trail every day during the summer in Zion. Most hikers will start this hike between 8 am and 3 pm. Taking the first shuttle will give you an hour or two to hike up before the major crowds start up the trail. Starting in the late afternoon will mean you are heading up as most hikers are starting down and again you will miss the crowds plus getting to watch the sunset from Angels Landing. The entire trail is in the sun. There is no shade. You need to be prepared for this with a hat, sunscreen and plenty of water. Safety First. This trail is dangerous. The last 0.5 miles of trail is a narrow and winding path with thousand foot drop-offs on each side. Do not hike during thunderstorms. Lighting strikes can occur on the landing. Do not hike when icy. Do not hike at night. Do not hike the last half mile with children. People have fallen and died while hiking this trail. The most recent was a 13-year-old girl. This is not a trail to hike if you have a fear of heights. The trail is narrow and wouldn’t be enjoyable for people afraid of hikes. Think about hiking the narrows if you are afraid of heights. Plan on using the bathroom at the Grotto Trailhead. There is a bathroom at Scott’s Landing about 1.9 miles from the trailhead but these toilets can be a little questionable. If hiking to watch the sunset, make sure to be down in time to catch the last shuttle down the canyon. Early explorer Frederick Fisher exclaimed, “Only an angel could land on it!” upon first seeing the monolith. 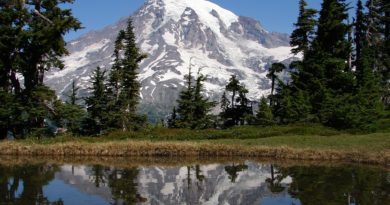 The hike is should be on everyone’s national park hiking bucket list. The hike has three main sections to it. The trail starts by crossing the Virgin River at the base of the Zion Canyon. The sandy trail follows the Virgin River slowly gaining elevation. Be sure to look up. You are treated to epic views of Angel Landing from the canyon floor. As you approach the base of Angels Landing, the trail turns and you will reach the first set of switchbacks up the side of Cathedral Mountain. I hope you didn’t skip leg day. Take your last look at the canyon. It will be a while until you see it again. These switchbacks lead to the aptly named Refrigerator Canyon. This narrow slot canyon run between the Landing and Cathedral Mountain. Enjoy this section of trail. It is flat with a little shade. There is usually a nice cool breeze blowing thru this narrow canyon. Enjoy this short break. Now the fun begins. Walther’s Wiggles is a series of 21 steep switchbacks that lead from the bottom of Refrigerator Canyon to Scouts Lookout. Be ready for them. They are really steep but it is fun to keep count as you go up. Take your time going up these. Walther’s Wiggles are named for the Zion National Park’s first superintendent, Walter Ruesch. Walter oversaw the construction of these switchbacks in 1926. Don’t be afraid to take a seat and breath as you work your way up switchback by switchback. There really are only 21 of them and each one is 20-25 feet long. It might seem like they go on forever but they make the view from Scouts Lookout all the more worth it. Once you hike up the last switchback, you are at Scouts Lookout. Scouts Lookout is the official name. I like referring to it as Chicken’s Coop. Scouts is a good place to take your day pack off and spend a few minutes resting and eating a snack. While taking that rest break look out into the canyon as check out the rest of the trail out to Angel’s Landing. Take a good look at it. Read the warning signs and then decide. Many hikers get up to Scouts Landing and decide to turn around and head back (hence why I call it Chicken’s Coop). Honestly, there is no shame in not hiking out the last half mile to the Landing. Do what you think is safe. Now the adventure begins. From Scouts Lookout, it is 0.5 miles out to Angels Landing. The trail is a vertical climb out on this knife edge ridge. The trail is narrow with chains to assist on the climb. If you are nervous about heights, do not be afraid of turning around and heading back. The last thing you want to do is get to the end and then not be able to come back. Take your time. Go slow. Parts of the trail are so narrow you can look down both sides of the ridge. Many sections only have space for one hiker at a time. Be patient and give space when you can. Don’t try to pass people on the really narrow sections. Wait until a wider section. The same goes for slower hikers. Take a step off the main path when you can and let people going faster pass. After the climbing adventure, you are rewarded with THE VIEW! Take in the view. There is plenty of space to sit down and enjoy the view. Spend a bit of time up here, you just hike 2.4 miles to get here. Watch the fearless chipmunks run around on the landing. Please don’t feed them but do enjoy their cuteness. 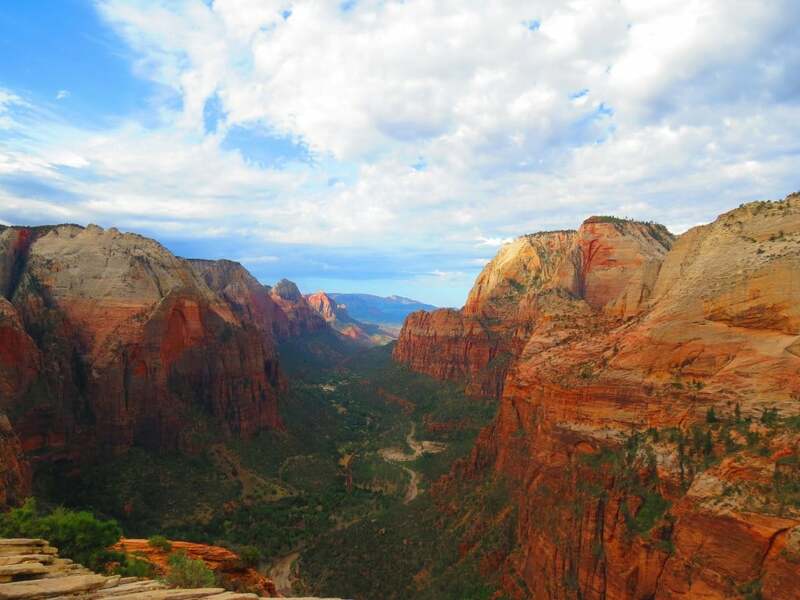 Are you planning on hiking Angels Landing? Do you have any advice for your fellow hikers? 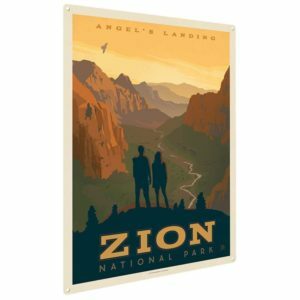 Check out some of our favorite Zion National Park and National Park Obsessed Products. 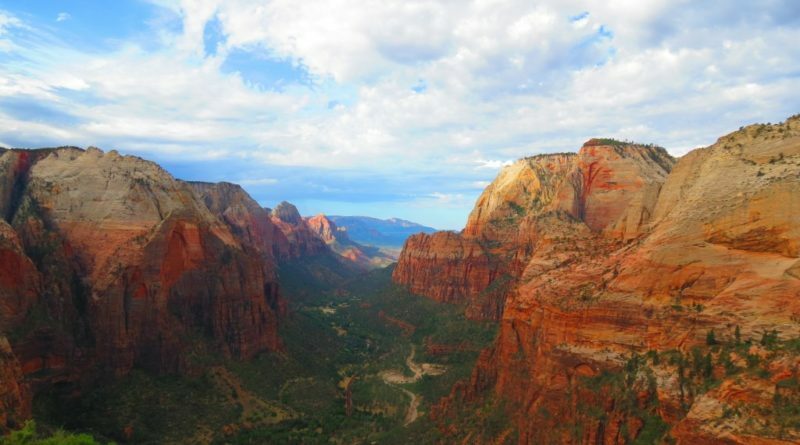 Lovely guide on hiking Angels Landing. I love also that you’ve included safety reminders on visiting and doing the hike. The trail seems very challenging but I personally think the view is worth it. Especially that of the Angels Landing Climb. The view is totally worth it. Yea this hike isn’t for those afraid of heights. 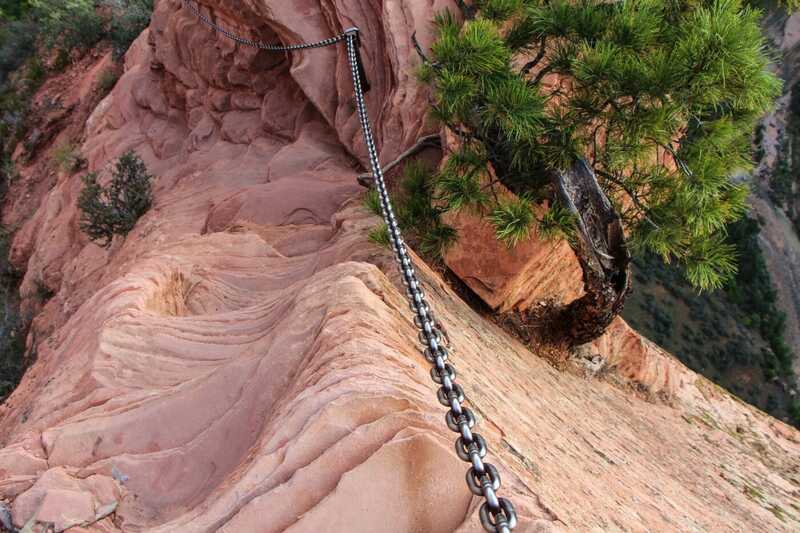 There are several trails in Zion perfect for those afraid of heights. Every time I go to the US I always end up doing city breaks, but when I see posts like this I wonder why I don’t go out and explore more of the US nature, it’s amazing! The canyon shots are just mesmerizing! The US has so many outdoor ways to explore. They are always worth a visit. This place looks awesome. Especially Walter’s Wiggles I mean it appears that you gain elevation mighty quick. We are planning to go to the US for a few months. 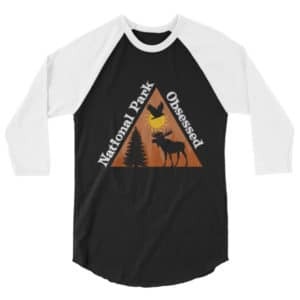 Assuming we have time for just one or two national park (Yes, I know what you are thinking)… which of them would you suggest. Vasu, I really can’t suggest any without knowing where in the US you are planning to visit and when. I would look at where you are going and then check out any parks within 3-5 hours drive from where you are going. If you haven’t decided where you want to go then pick which kind of park you want to visit and pick a major city near it. 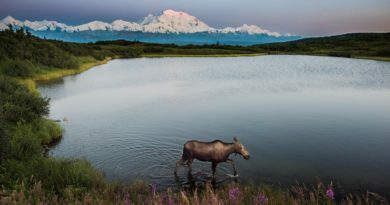 The best cities in terms of National Park visit opportunities are Seattle, Salt Lake City, Denver, Miami, and California major cities. This is a all in one guide! Walther’s Wiggles’s series of 21 steep switchbacks looks amazing, is it a motor able road? 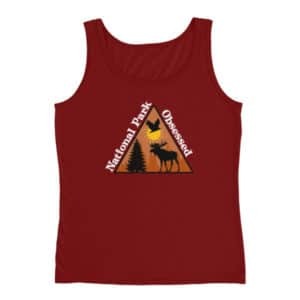 Have been reading several posts on Zion’s national Park, I am really eager to get there now. Saving up the link for future. Zion is an amazing park to visit. 5 miles of hike didn’t sound that bad until I started to see the incline, the drop and the terrain. The views are gorgeous no doubt and you’ve got such a cool picture of Walther’s Wiggles but I can only imagine how tough it must be to attempt this hiking trail. Hiking Angels Landing seems like a task for the tough and adventurous. Maybe I need training – a LOT of it at that! The hike isn’t bad if you are in ok shape. It is a lot of uphill but if you take your time to hike is fine for all fitness levels. Your landing image is so inviting. Loved reading the article which gave me a real checklist to follow before hiking anywhere. Things to know are really important as some time small things spoil the plan. Safety first should be loud and clear. Cathedral mountains looks scary yet compelling. Walther’s wiggles are superlative. Thanks for superb article and great images. You’re welcome. Yea, safety is really important on Angel’s Landing.